1, Groom holding a plate of grilled chicken and bride holding the chicken leg wedding cake topper bobbleheads created in Mar. 2015, for your reference only.You can made in this style or on your own design. 2, Dimension- About 16-18 cm high. 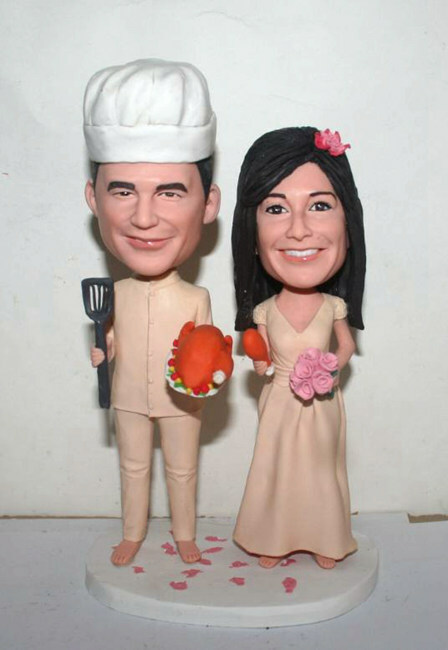 3, This bobblehead cake toppers 100% (from head to toe, clothing..) made from your own photos and requests, matching your own wedding dress / suit. 4, 100% handmade from polymer clay, water-proof, soft, no peculiar smell,non deforming and durable at the same time. 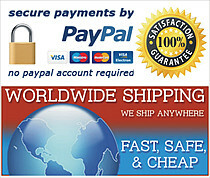 5, UPS/DHL quick Shipping To Worldwide.